A Highland MP has condemned the “shambles” that has arisen from a decision to take a “tried and tested” vessel off the Mallaig-Armadale ferry route. 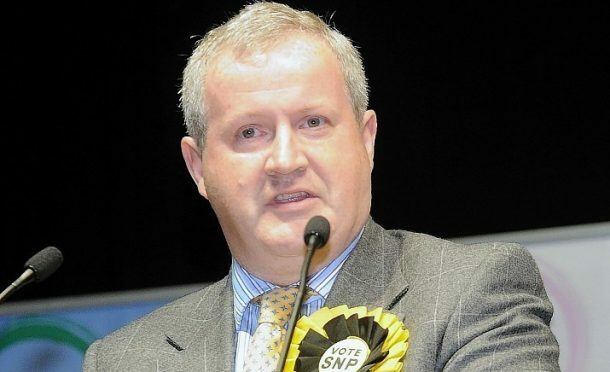 The SNP’s Ian Blackford called on operator Caledonian MacBrayne to attend a public meeting next week to discuss concerns raised. He told the Press and Journal he had contacted the company to voice his dissatisfaction with the service – which connects south Skye to the west coast mainland – since the MV Coruisk was removed. He said it had been replaced with “not fit for purpose” alternatives that cannot operate at low tide. Of 516 planned sailings, there were 56 cancellations in the period March 25 to April 23, the Ross, Skye and Lochaber MP said – in contrast to just two cancellations in April last year. Mr Blackford claimed the disruption was in turn impacting on business in the area, as well as affecting those reliant on the service for transport. He said he supported CalMac continuing as the operator of choice on the route and the rest of its network. He called on the company to take immediate steps to remove the MV Coruisk from the Oban-Mull route where it has been redeployed and return it to the Mallaig-Armadale service. A CalMac spokesman said senior management had met with the Sleat transport forum, taken on board its views and was looking at ways of making timetable changes to go some way to addressing the concerns around reliability. The spokesman also said that over the first month of operations, since the introduction of the new “more flexible” three-vessel service, coach, car and passenger travel had increased on the same period last year. The public meeting will take place at the Clan Donald Centre in Sleat on Wednesday from 6.30pm.